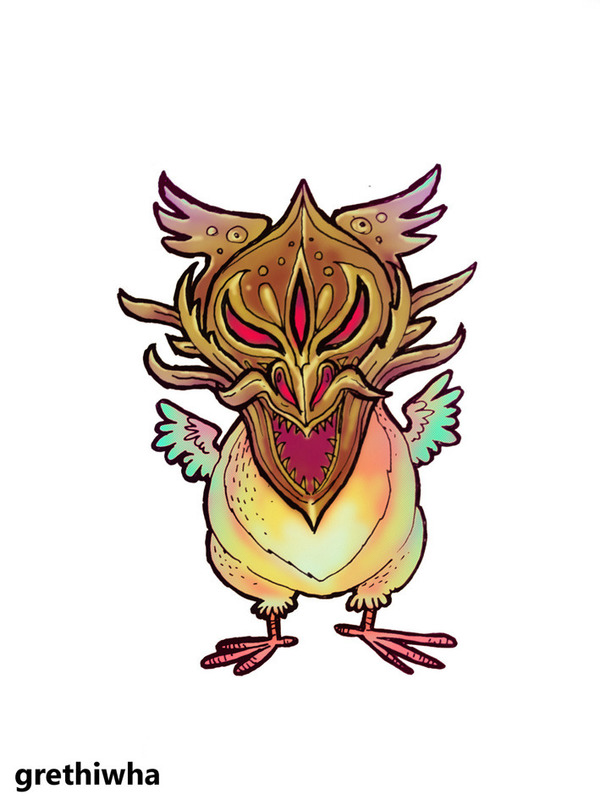 Community Blog by Grethiwha // Ah, Garcian. How long has it been? 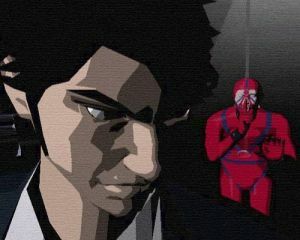 It was June 2009 when I last (and first) played Killer7. 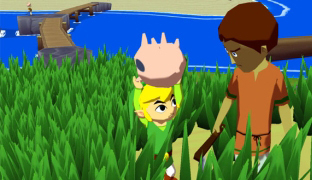 And the game was so utterly incredible and unforgettable that over time I have only grown fonder of it to the point where in the last year it has overtaken The Wind Waker and Ōkami as my top choice for greatest game of all time. But still I had not played it again until now, when over the last couple days I have played through it a second time in two enormous sittings (and one short sitting just now for the epilogue). Now I'm as ecstatic about and confused by the game as I've ever been, and I must try once again to express what about it is so amazing. First of all, while I originally played it on the PS2, this time I played it on Gamecube, and the improvement is kind of ridiculous. Whenever I'd show the game to people, the long load times even when I'm switching characters got quite annoying, and then there were some really serious framerate problems with the PS2 port. I knew the GC version ran more smoothly which is why I wanted it, but holy crap it's perfect. It runs smoothly, there are no long load times, and oh my god it looks nice. 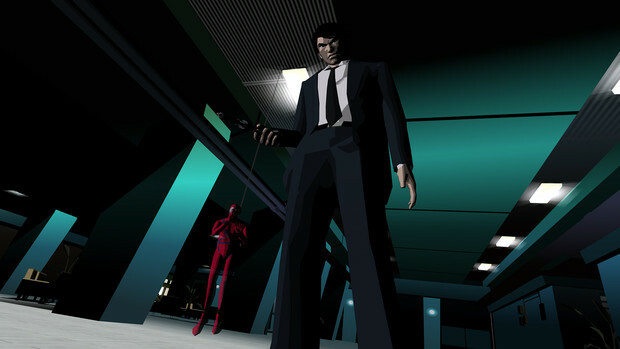 The graphics on PS2 games always look quite muddy when I play them nowadays, but playing Killer7 on my Wii, through component cables... it hasn't aged a bit. Both the art style and the graphics of this game are truly stunning! Also, the Gamecube version's manual is in glorious colour. 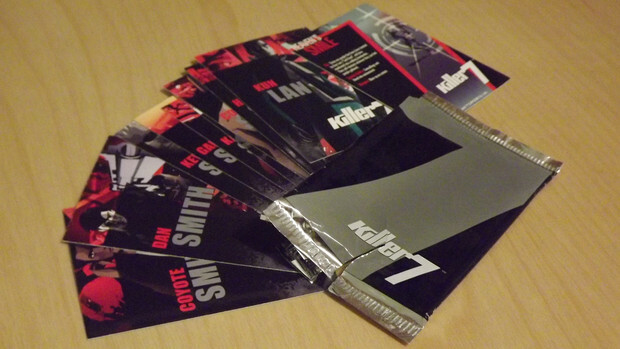 And I bought it used, online, but the guy not only kept it in pristine condition, he also included a set of Killer7 trading cards that were apparently a pre-order bonus back in the day. I didn't even know those existed! It makes me so happy to own all this. The gameplay was and remains radically different from anything else I've ever played. That said, it's a fairly standard mix of shooting, puzzle-solving, and finding-and-collecting-all-the-items-hidden-throughout-the-stage-in-order-to-move-on gameplay, but it's executed in such a totally unique way that when I first played it, I was completely baffled by it, and I had to read the instruction manual and read guides online just to begin to comprehend it. I compare the experience to learning how to play videogames all over again, for the first time. Once I got through the first level, though, I was fine. And now, playing it a second time three years later, it was like putting on an old shoe. It all came back naturally. I love movement in the game. 'On-rails' is a misleading descriptor. You run through levels by holding the A button, but when you reach an intersection you choose which way to go. And you can turn around. Levels are not totally linear. The result is, you can explore the levels just as much as you could in a game with free-movement, except you're limited to the places where there's actually something to explore. Half the time it just means you have to run through the center of a corridor, and not the side. The other great thing about it is the camera. You never have to worry about controlling the camera. It's always in just the right cinematic, unobtrusive position. It's perfect. Enemy encounters are also more controlled. Frankly I think it's a genius design. Puzzles are equally unorthodox, and they're a lot of fun. The shooting mechanics are fun too. I like levelling up my character's abilities. I love changing characters for different scenarios. It's all so good. But of course what makes Suda51 games great, most of all, is the personality. You play as an assassin with seven different personalities that manifest in seven different bodies: The Smiths (the game also makes numerous references to The Smiths songs <3). Each personality, and hell, every character, is incredibly imaginative and memorable. I just love the way Con and Coyote hold their guns. There is a character that is a ring-dispensing disembodied head that killed her parents and hates men, but loves ice cream sundaes. There is a ghost doing a pelvic thrust. The cutscenes in the chapter [Alter Ego] are all done anime style, and your target is the 'Handsome Man' group, who are basically power rangers. Despite their name, two of them are female. 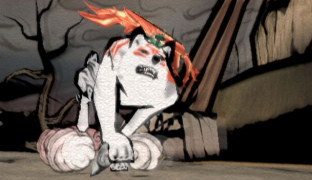 And my god the cutscenes at the end of [Cloudman] are glorious. I could go on like this forever. The game bleeds style, it has some of the greatest cutscenes of any game ever, and it's very darkly humorous. But it is more than that. This is easily Suda51's greatest accomplishment. I love No More Heroes, and I really like his more recent games. They're full of style and personality. But by comparison they feel like a lighter entertainment. This game feels like the game that Suda had to make. 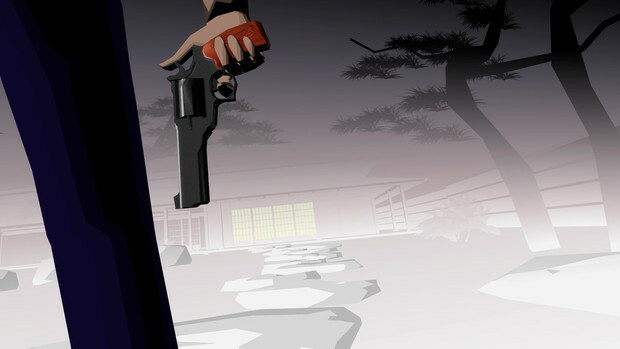 It was in development for three years, but I know that Suda was developing the story well before that point. I can sense that he put his blood and sweat into this project. This is his masterpiece. The story is convoluted as hell, and having just played through the game a second time, I'm confused all over again. But this is not the bad kind of convoluted. It's like something along the lines of David Lynch's film Mulholland Drive, or, to use a more mainstream example, Christopher Nolan's Inception. 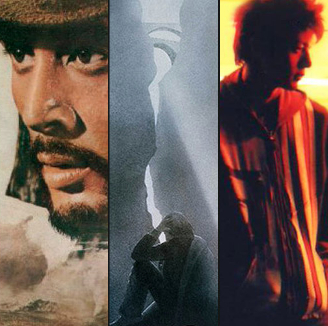 Yes, these films are convoluted, but somehow you can always sense that the director fully understands what he's doing on every level of the story. And even though you don't understand it completely yourself, it's an exhilarating experience to be given full access to the director's creative vision like that, and to try to figure it out. 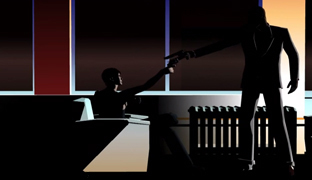 That's what Killer7 is like, except it's way better than those movies (as much as I like Mulholland Drive). The plot involves all manner of government conspiracy and opposing factions and a ploy to blow up Japan, and there's tons of death and resurrection and other confusing story elements, and like I say, it's fun to try to figure it out. 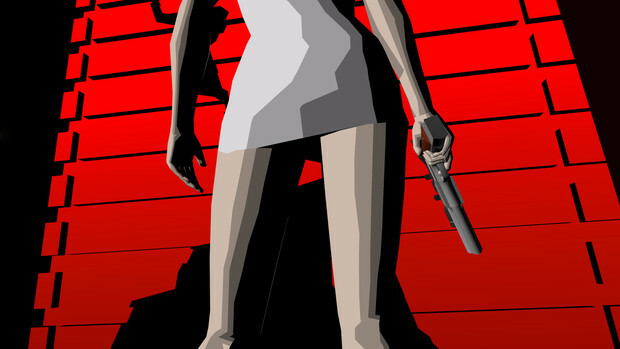 I remember reading Hand in Killer7 and finding it insightful, so I'm probably going to do that again soon. But that's not really the point. The surrealism and the delightfully nightmarish atmosphere are what truly stand out about the game's presentation. Regardless of how much sense you do or don't ever make out of it, it is still thoroughly engaging to watch the story unfold. I believe that the final sequence of the game, that is, the last, like, ten minutes or so, before the epilogue, in the hotel when you're forced to use Garcian – that whole final sequence – is the best thing ever. I cannot even say why. It has something to do with the colours. And the way Garcian runs. And the sound design. And the mood created by everything that led up to it. I cannot say what it made me feel – not sad or mad or glad – but I felt something, with a great restive intensity. It is art, somehow purer than any other sequence in any other video game, or any movie or book or song or painting and I truly cannot explain what about Garcian running through that hotel room was so profound. It just was. Then the final cutscene is so powerful that it shook me to the core and brought a tear to my eye, even the second time. It's pretty short. I still do not know what happened in it, except in theory. 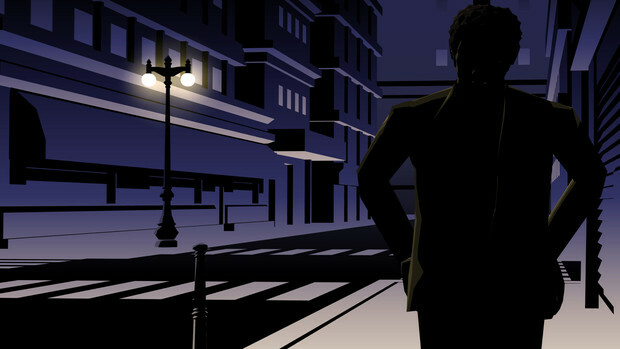 Then the epilogue is great at tying everything together and emphasizing the game's key themes. But I won't get into that. I've rambled on enough already. Did I mention how amazing the voice acting is? Or, hell, everything related to the sound design? 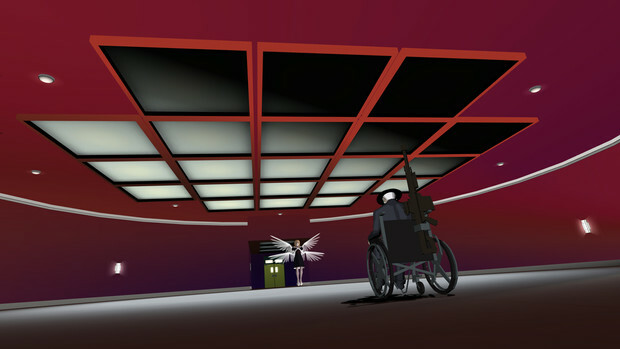 From an audio-visual standpoint, Killer7 is unparalleled. Or from any other standpoint, for that matter.